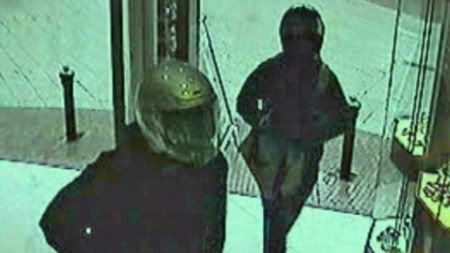 A few weeks ago, a juweler in The Netherlands (Enschede) has been robbed. 31 Breitling watches and 16 Omega watches are stolen. At least with regards to the Breitling watches, the serial numbers are published. Beware of Breitlings with one of the following serial numbers: 621149, 740150, 743640, 848428, 851141, 852125, 871068, 889714, 892612, 893376, 907977, 935285,?Ç¬ 969722, 2027432, 2083172, 2121032, 2125629, 2152997, 2156830, 2139292, 2145680, 2164027, 2175072, 2177832, 2231568, 2235280, 2539207. Click here for more informaton (in Dutch) about the robbery.